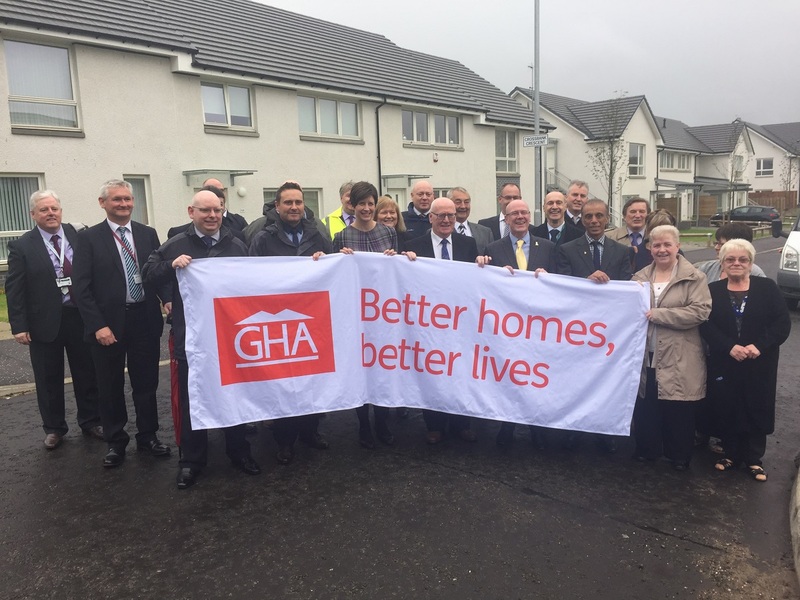 Toryglen’s MP, Alison Thewliss, joined Scottish Government Housing Minister Kevin Stewart MSP, local councillors Jim Scanlon & Jahangir Hanif, as well as GHA tenants in North Toryglen this week to celebrate the phase one opening of their new build housing development. The £9.9m GHA development, built by contractors Crudens, is a mix of 66 houses and 34 flats, with 10 of the homes designed to wheelchair standard. Future regeneration plans for North Toryglen include 49 homes for private sale and new shop units. “I am absolutely thrilled that the SNP Scottish Government provided £4.6 million of grant funding to ensure this project could go ahead in my constituency. There has been great partnership working between the Scottish Government, Glasgow City Council, GHA and Wheatley Group and the private sector in Crudens. These 100 affordable, high-quality new homes have made a real difference in the community already, giving local people access to affordable, warm, modern homes. “The contrast between Scotland and England on provision of affordable housing for social rent and for sale couldn’t be greater. The Scottish Government is working hard to turn round the toxic legacy of Margaret Thatcher’s disastrous right to buy policy, by reinvesting in social rented homes. The regeneration of Toryglen is another step forward in addressing the housing gap. Could u please tell me where and when it surgery for Toryglen is.